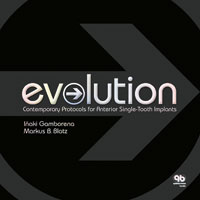 This book beautifully showcases the concepts, materials, and techniques essential to mastering the most demanding of all surgical and restorative challenges, the anterior single-tooth implant. To achieve the long-lasting esthetic and functional results displayed in this clinical masterpiece, one must attend to the myriad details associated with each phase of treatment. Designed for a new generation of visually oriented learners, the book presents step-by-step clinical procedures that unfold like the frames of a film, so that readers may "watch" at their own pace and pause as necessary to contemplate these fine details. This experience will spark the curiosity, creativity, and imagination of even the most veteran surgeon. Natural tooth behaves much as a collection of mosaics that change color according to the type of light and media in which they are found, and it is this beauty of tooth composition and form that is the inspiration to those who seek to mimic tooth in dental restorations. Magne, Pascal / Belser, Urs C.
This book introduces a unique approach to esthetic restoration of the anterior dentition.